0 Listen To Breezy Day! Here’s a link to the Breezy Day album website. You can listen to the tunes there. You will also find links to the places where you can purchase CDs or downloads. Downloads are available for each individual track as well as for the album as a whole. 0 “Breezy Day” Has Been Released! 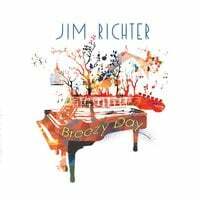 My new album, entitled “Breezy Day,” was released today! I think that it is the best work I have done yet. Many thanks to all those who made it possible, but especially to my producer, Michael Cornett, and to John Crawford, who designed the album art. This has truly been a team effort! You can listen to “Breezy Day ” for free on Spotify. CDs and downloads are available at CD Baby. You can also download the album (or individual tracks) at Amazon. You’ll find links to Spotify, CD Baby, and Amazon on my website. You can also order CDs directly from me at P.O. Box 70, Cherry Log, GA 30522. My goal is to write, record, and perform jazz-rock music that is melodic, accessible, and interesting. I hope that that you will enjoy “Breezy Day.” Quite frankly, I think that the music will put you in a good mood! 0 My New Album Will Be Released Soon! I’m happy to let you know that my new album, “Breezy Day,” will be released very soon. All the music has been mixed, mastered, and uploaded to the company that makes the CDs. The album will be available at CD Baby, Amazon, iTunes, Google, and various other online sites. You’ll be able to listen to it on Spotify as well. I owe a deep debt of gratitude to those who made this project happen. First, and foremost, many thanks to Michael Cornett. He engineered and produced the album, and he played GREAT bass guitar tracks on the album! I am also grateful to the amazing drummers who came to the studio and played drums for us: Scott Jones, Jeff Rudolph, Brandon Williams, and Thomas Pinson. Every one of these guys is a MONSTER on drums! These guys are pros! Thanks also go to Rodney Mills, of Rodney Mills Masterhouse, for bringing the music to life through his mastering expertise. Rodney has worked with Skynyrd, .38 Special, ARS, Gregg Allman, the Doobies, Journey, and too many others to list. I am honored to have had the privilege to work with him! Last, but not least, my thanks go to John Crawford, who designed the album art and the poster that goes with the album. John is an awesome photographer and designer, and a great musician as well! I really believe that you will like “Breezy Day.” It truly reflects the kind of music that I enjoy writing and playing these days. It’s jazzy, with a bit of rock influence. I’ll post an announcement when the album is available.